Days ahead of the April 18 polls, I-T sleuths had on March 30 conducted searches at the premises owned by senior party leader Durai Murugan and seized Rs 10.50 lakh of alleged ‘excess’ cash. 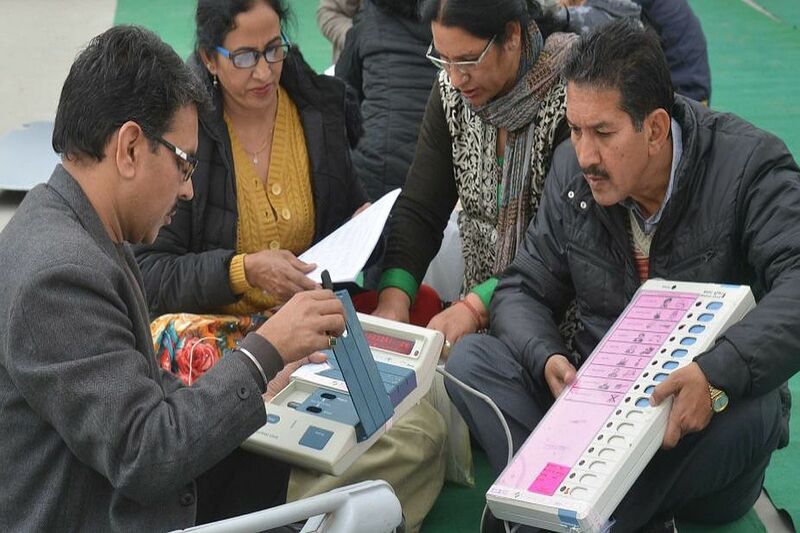 Amid reports of Lok Sabha polls in Vellore constituency in Tamil Nadu likely to be cancelled over excess use of money power, the Election Commission (EC) has said that no order has been issued by it so far regarding the matter. The clarification comes after various media reports claimed that the poll body is mulling over cancelling polls in the Vellore parliamentary constituency over the alleged use of money to influence voters, a report in ANI said. The Election Commission was reportedly learnt to have prepared a recommendation in this regard to be sent to the president. Days ahead of the April 18 polls, Income Tax (I-T) sleuths had on March 30 conducted searches at the premises owned by senior party leader Durai Murugan in this district over suspected use of unaccounted money for electioneering and seized Rs 10.50 lakh of alleged “excess” cash. Searches were conducted at Durai Murugan’s residence, where some printouts with ward numbers written over them had been found, but the “main person”, indicating the assessee, had dismissed them as “junk”, I-T officials had said. While a sum of Rs 19 lakh was found during the raid, Rs 10.50 lakh was seized as “excess” after allowing the cash declared in the election affidavit of DMK nominee DM Kathir Anand, they said. Anand is the son of Durai Murugan. The district police had also filed a complaint against Anand as well as two party functionaries on the basis of a report from the Income Tax department on April 10.